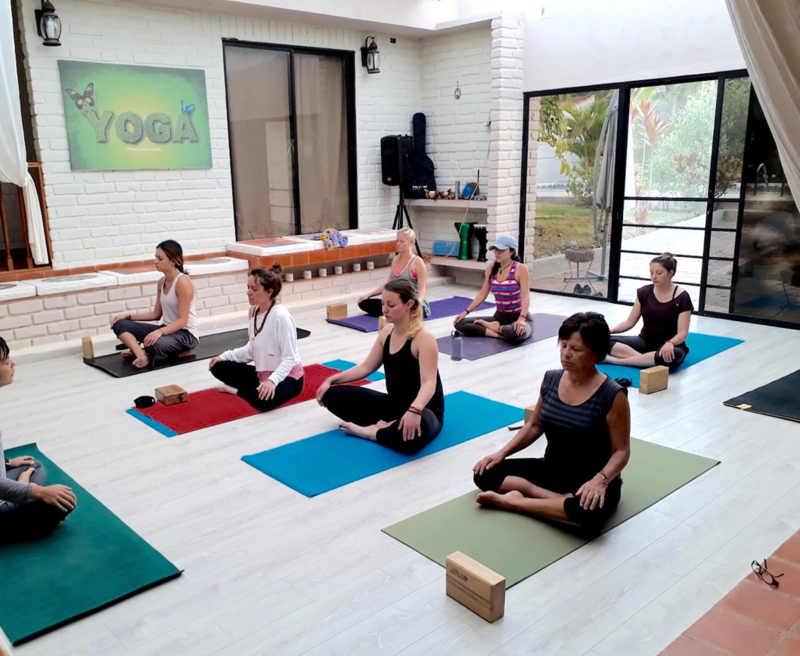 There is no current supervision for the safety or certification of yoga instructors, the closest thing to regulation is through the Yoga Alliance. This non-profit organization has norms where yoga schools follow and voluntarily are registered with. The schools and students must demonstrate how they have met Yoga Alliance standards for 200 or 500 hours of training. Like any other exercise class, Yoga is completely safe if performed properly and taught by experienced instructors. The concern is that not all teachers are qualified, and some certifications aren't very rigorous. At OM Healing Center, all Yoga Instructors are graduates from a Yoga Alliance registered institution. Even with self-regulation and safety standards set forth by the Yoga Alliance, it still takes individual participants to know when to push and when to back off. The most common yoga injuries are caused by repetitive strain or overstretching and occur at the wrists, shoulders, neck, along the spine, and at the sacroiliac joint (which links the spinal column and pelvis), hamstrings, and knees. This is the most important safety tip, so read the previous section one more time. Take a beginners class if you are new to Yoga, it’s imperative to start slowly and learn the basics first. Always listen to your body and for the first couple of weeks, take baby steps; learning the combined effort of proper breathing and exercise can be challenging. Your breath will guide you and will help your body progress. If you feel that your instructor is pushing you too far or isn’t focused on your safety, talk to your instructor or find a new class. Video tapes can be helpful in learning Yoga, but be careful because without an instructor, you could easily perform the poses incorrectly and not even know it. Yoga is not about competition, it’s about your personal growth. Pushing your body to keep up with the instructor or other students, may get your hurt. Listen to your body and don’t let yourself get pressured to compete with anyone else. It is better to practice a partial pose with good form than a full pose with poor form. At the beginning, try to learn from your body as you breathe how far you can stretch. It does not matter why you came to Yoga; the important thing is that you are in Yoga. Transformation will happen as you become regular to your practice. During your practice, you’ll learn to express and lead yourself to your unique set of goals. You should determine your own baseline and work (slowly) from there. If you see other students and instructor perform poses that it might seem difficult to you, don’t be discouraged or swayed to over perform. Remember that you are at there for your own personal health and fitness. Pain is your body’s way to let you know something is wrong. Listen to it and back off. Your strength, flexibility and mental attention can vary slightly from day to day, so allow for some variation without getting concerned. Obsessing about getting the pose right might lead to injury, when your body is ready, you will be surprised what your body can do. Pay close attention to your instructor’s instructions. If you are unsure of a position or movement, stop and ask your instructor for more explanation. If you have any injuries, chronic conditions of other limitations or medical conditions, let you instructor know before class. You should also check with you doctor about any movements or poses you should avoid.